The aftermath of Apple’s annual launch event, where the Cupertino giants unveiled their latest series of iPhones, many other, significant brands have taken a swipe at them. 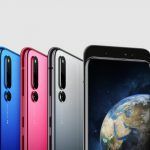 Now Honor and its President Zhao Ming have joined the bandwagon calling the new iPhones “mediocre” and ones that lack “bold innovation”. Zhao Ming also suggested that the current industry needs bold innovations from makers of smartphones to provide consumers with the right technology with the value for money. That said, the whole stint’s connected to the upcoming Honor magic 2, which reportedly have an AMOLED Display as well as close to 100% screen-to-body ratio. 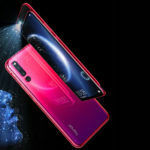 Only ahead of the IFA Berlin event did Honor reveal the Honor Magic 2, which according to some quarters is one of the most innovative phones from the brand, with the AMOLED display news, which was confirmed via Honor’s official Weibo account the first time the brand usees the technology. Moving away from the criticism of Apple, let’s take a closer look at What the Honor Magic 2 has to offer. The Hoor Magic 2 will boast a 6-Inch AMOLED display with 1440×2880 pixels resolution. The AMOLED screen will have an aspect ratio of 19.5:9 and pixel density of 537 PPI. Apart from the AMOLED display, there are plenty of other features in the Honor Magic 2 that would be enticing enough for the user. Taking a leaf out of Oppo Find X and Vivo NEX’s book, Honor has gone all out in ensuring there is minimal screen-to-body ration on the Magic 2. It essentially means the Honor Magic 2 will feature extremely thin bezels and this is possible only due to the presence of the AMOLED screen. The Magic 2 will have a camera slider, which would also help the brand ensure there is a Fullview display and has premium exteriors. Although the presence of the slider so far has been confirmed, there is also the presence of a movable motor to slide and use the front camera, which will also make sure there are no water and dust resistance features on the phone. Users will have to push mechanically even though they might have fired up the camera app. Other features on the Honor Magic 2 includes the ‘Magic Charger’ with the smartphone reportedly capable of taking wattage of up to 40W. 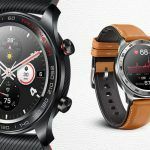 There is still no news if a Qi wireless charging support will be made available. Honor has also made sure the phone has optimum safety, hec=nce have claimed the device will have 15 layers of protection to it. 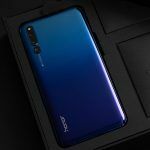 The Honor Magic 2 will be powered by the HiSilicon Kirin 980 chipset, with an Octa-core, quad-core Cortex A73 clocked at 2.36Ghz + Quad-core, Cortex A53 clocked at 1.8GHz processors. A 6GB RAM will power the Honor Magic two alongside will be further supported by the Mali-G72 MP12 GPU for graphics and the device. The Honor Magic 2 will run on Android 8.1 Oreo as its OS. The smartphone has a dual-rear camera setup, with powerful 12MP+12MP lenses occupying the rear side of the smartphone, while a 24MP selfie shooter accommodated on the front side. A non-removable Li-ion3300mAh battery will power the smartphone. Honor Magic 2 is expected to be on the upper side, considering a reported price tag of Rs 39,990. 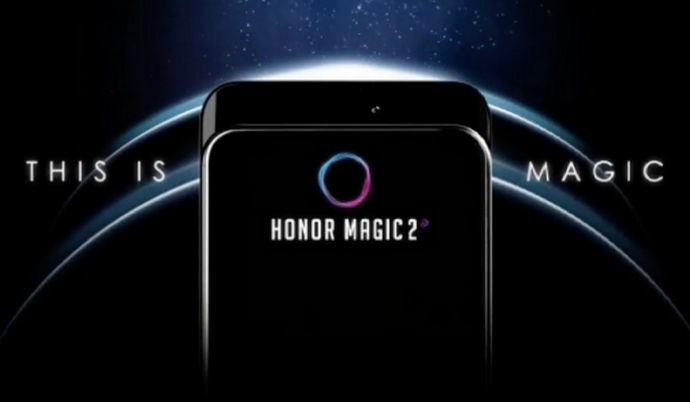 But there is no news yet on the availability of the Honor Magic 2 however, although it is expected to come in soon. Raman is our latest addition to the team. He is an avid football fan and has been associated with some of the leading Sports blogs. When not busy writing about sports, Raman takes out time for the latest happenings in the world of tech.